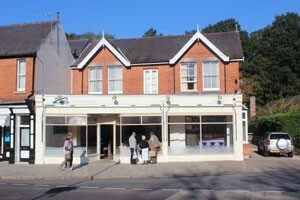 We are a Family run fish and chip shop which first opened in 1936. 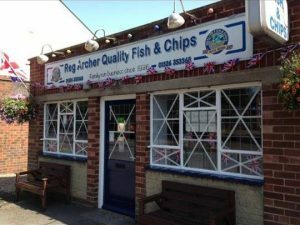 We are open at 10am each morning for fresh fish sales on our cold counter. Archie's Independent Coffee House is dedicated to providing 100% speciality arabica coffees, homemade cakes and delicious food with service that can't be beat. Fresh bread and rolls baked daily. Pastries and fancy small cakes. Celebration Wedding and Birthday Cakes. All baked daily on the premises. Speciality Cakes, Cold Buffet, Catering. Based in Woodhall Spa, we are a completely independent wine merchant, dedicated to searching out top quality wines at competitive prices, all of our wines are the best of their style and price range and will stand any comparison. The majority of these wines are imported direct from the grower and are destined for the restaurant market. Whilst our core business is the on-trade, we are now in a position to offer these fantastic bargains direct to the consumer. Printed tasting notes are available, if required, for all purchases, whether you are buying wine to drink today, or are putting some away as a christening present for a future birthday. If you wish we can organise tutored tastings for groups who would like to learn a little more about all aspects of wine (great idea for a birthday treat). Tastings can be tailored to your requirements and can be hosted at your own premises, or for parties up to 12 persons, in our own tasting salon. Prices of tastings vary depending on the wines you wish to try but whatever you try, you only pay for the wines you drink, our services are provided free of charge. Our wines are available individually or by the case at a further discounted price, prices are VAT & duty paid, local delivery is free, the price you see is the price you pay. Orders are normally filled within 24 hours as all the wines are held in our climate controlled cellars. Should you desire a particular, unlisted wine, please ask, we have access to many more wines In-Bond, delivery of these will be up to 5 days. Serving traditional evening a la carte and Sunday lunch, all our dishes are individually cooked to order. Fresh ingredients and locally sourced seasonal produce are the key to our cooking style. There is a varied range of dining options at The Dower House Hotel, all offering wonderful cuisine and fine wines from our extensive cellar. The Ebrington Arms is a traditional village pub as such it retains many of its original features including an open fire and genuine wooden beams the bar area dates back to 1610. Coins embedded in the beams are reputed to have been placed there during the last war by R.A.F. personnel as a way of ensuring they had the means to purchase a beer upon there return from a mission. 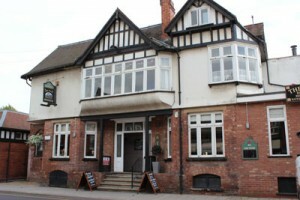 The current owners, the Moncrieff family, have now been in situ since 2005 and have, with the help of quality staff, built up an enviable reputation in the area for hospitality, excellent home cooked food and an unsurpassed selection of beverages inclusive of our malt whisky menu. 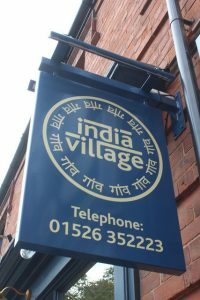 India Village is listed in the National Curry Club guide as one of the best Indian Restaurants in the county. The restaurant has long been recognized as one of the finest dining experiences in Woodhall Spa and is widely known to provide the very best Indian food in one of Lincolnshire’s best kept villages. 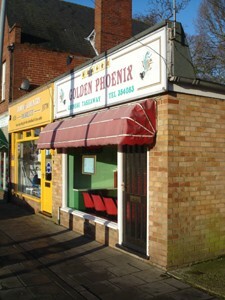 India Village delights with it’s intimate atmosphere, and a passion for food that has earned the restaurant a pedigree. It’s menu showcases an exciting blend of traditional and contemporary Indian cuisine, which combined with graceful service offers a warm and authentic dining experience. 7.30am until 4pm - 7 days a week. 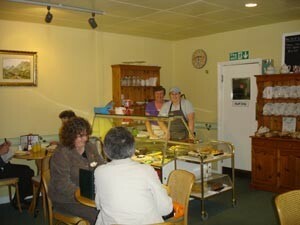 Home made cakes, light lunches and a wide selection of different teas, coffees and other hot and cold beverages. Riverside Pub for Bed & Breakfast. Evening meals available. Traditional Sunday lunch. Themed evenings including Quiz Nights and Bingo. 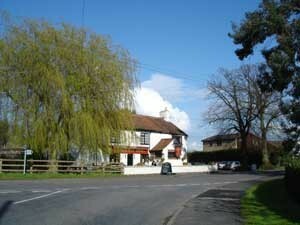 The Kings Arms is on Route 1 of the National Cycle Network and the Water Rail Way. 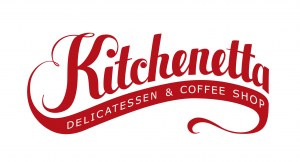 Delicatessen and coffee shop, perfect venue to satisfy any food cravings! 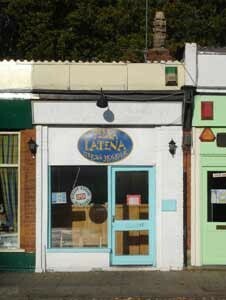 Pop in for coffee, tea, cake and light lunches. I look forward to seeing you all! Whether you’re after an cappuccino and a slice of cake, a quick spot of lunch and a catch up, or have a long list of hard to find items for a particular recipe, Etta and the team will be willing to help you do just that. 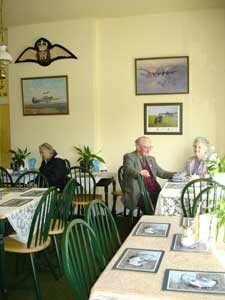 Sit Back and Enjoy One of England’s Finest Traditions in Woodhall Spa’s Oldest Tearoom. Set in the heart of Woodhall Spa village with a tranquil garden and views onto the golf course. We offer freshly ground Boston coffee, a variety of teas, hot drinks and a large selection of cold drinks with a homemade treats and cakes. With a comfortable coffee lounge, relaxing veranda and seating in the garden. we use locally sourced produce, Stephen has created a traditional English menu with options from a light lunch, traditional afternoon tea through to a full A la Carte dinner menu. With facilities for a private event and outside catering. 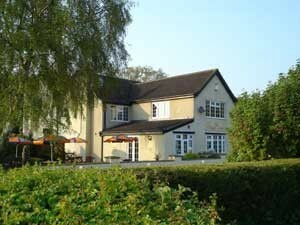 Traditional English Restaurant serving homemade meals using freshly prepared, locally sourced ingredients. Open every day. Evening meals available Friday and Saturday (any other evening by prior arrangement). Come and visit us we are open 7 days a week and all are welcome. Food is served daily Mon-Sat starting from 10am through to 8.45pm. And on Sundays 12 noon till 8pm. Come and join us every Sunday at 8.30 for our fun pub quiz. Private functions catered for. 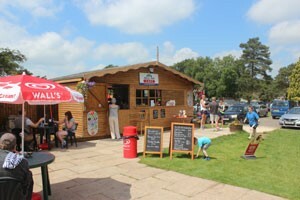 Friendly, family run cafe hidden away at the bottom of the Broadway Shopping Centre. Homemade lunches, puddings and cakes served every day from 9am Monday to Saturday (closed Sundays). Located in the centre of Woodhall Spa, this stylish steakhouse restaurant is perfect for dining and relaxing anytime of day. Locally sourced ingredients including select hand cut meats by local butchers ensuring a delightfully fresh meal each and every time you visit. The Petwood Hotel is a delightful edwardian Country House Hotel, set in 30 acres of secluded gardens and woodland. Home of the Dambusters during the Second World War. 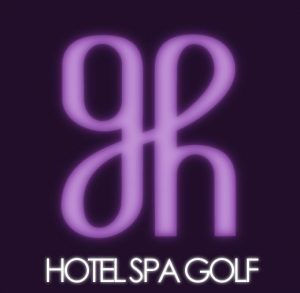 Having extensive conference, wedding and special event facilites and offering short holidays and golfing breaks. With 53 bedrooms all individually designed. 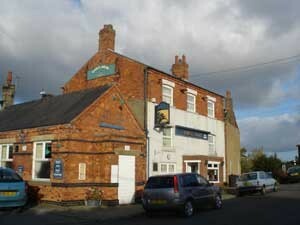 Member of "Tastes of Lincolnshire" the Tennyson's Restaurant promotes local produce. All our food is freshly made to order, using the best local produce wherever possible. We have children's menus as well as a light bite menu, available from 12pm onward. We are more than happy for our soft play menu to be served in the pub and vice versa. If you have any allergies, intolerance or if you simply fancy something specific, pleas e let us know. Open from 5.30 to 11pm. Closed Tuesdays. Private bookings can be arranged on request. 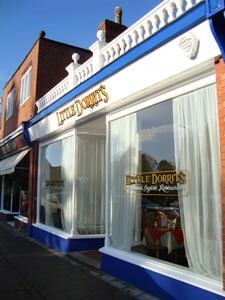 The Tastes of Lincolnshire Award Winning Village Limits is located just on the outskirts of Woodhall Spa. It offers 8 well-kept 4-star twin rooms for B&B alongside our popular restaurant and bar. Food is served 12-2pm and 6.45pm-9pm Tuesday to Saturday, and 12-2pm on Sundays. Booking is advisable. 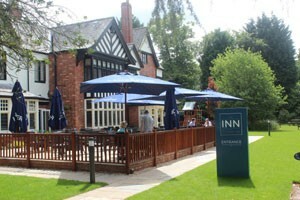 The £2 million renovation of The INN at Woodhall Spa is now complete. 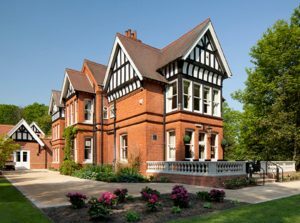 What was once the Woodhall Spa hotel has been transformed into a chic brasserie, a family-orientated pub and carvery, and 26 luxuriously appointed rooms. 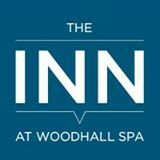 The INN brings a vibrant and upbeat venue to the tranquillity of Woodhall Spa, one of Lincolnshire's most attractive villages. Sensitively blending the old with the new, the fine Edwardian building now houses modern and fully air-conditioned facilities. The Lancaster Brasserie provides an elegant yet relaxed dining experience with contemporary British cuisine. With an extensive selection of beers and traditional real ales, the 617 Pub brings a traditional public house back to Woodhall Spa. The 617 also includes a carvery, which serves traditional home-made food. There are also 26 en suite rooms (including one with 360° views), a children’s play area and alfresco dining facilities. 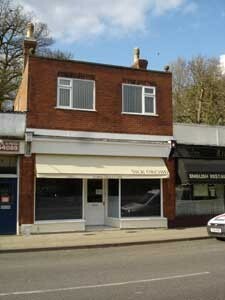 Zucci is a new Mediterranean bistro occupying a prime corner site on the main thoroughfare in Woodhall Spa – the "jewel of Lincolnshire." We are unique in the fact that no other restaurant in the UK takes the customer on a culinary tour of the Mediterranean and at the same time offer a modern take on some of the most classic dishes of the region. The theatre of having an open kitchen seeps into the dining area. The rustic decor, design and music have been specifically chosen to capture the magic of being on holiday and eating healthily in a convivial atmosphere.